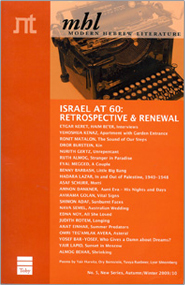 Yaniv Iczkovits was born in Rishon LeZion, Israel, in 1975. After completing undergraduate studies in the interdisciplinary program for outstanding students at Tel Aviv University, he earned an MA in philosophy and studied for a year at Oxford University. 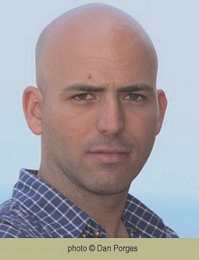 Iczkovits received his PhD from Tel Aviv University and currently teaches there in the Philosophy Department. He was awarded the inaugural Haaretz Prize for Debut Fiction for his novel Pulse (2007), the Prime Minister's Prize (2011), the Ramat Gan Prize for An After Midnight Prayer (2016) and the Agnon Prize (2016). An After Midnight Prayer was also shortlisted for the 2016 Sapir Prize.